Broadcasting self-regulation: An uattainable goal? 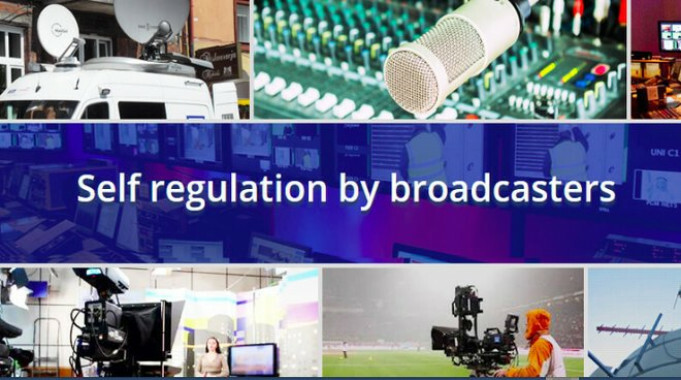 While the laws of the land and the provisions of the Cable Television Act regulate non-members, the News Broadcasters’ Association (NBA) has assiduously protected the right to self-regulation in the nine years since the News Broadcasting Standards Authority (NBSA) came into being. Despite the initial glitches, the NBSA, under the late Justice Verma, worked hard to set down a mechanism for redressal. It even managed to put together a code of ethics, drafted ironically by a committee headed by then Times Now anchor and editor-in-chief Arnab Goswami, who has the dubious credit of changing the conduct of news on broadcast media first at Times Now and in his current position as head of Republic Television. (Republic TV was inducted as a member of the NBA only last year and, while it has been critical of the NBA, with Goswami calling it a toothless body and a cabal, it has sought a more active role in the body). The NBA’s ‘Code of Ethics and Broadcasting Standards’ spelt out the need for a ‘jury of peers’ to act as a watchdog and a grievance redressal forum. Now headed by retired Supreme Court judge R.V. Raveendran, who took over after the death of Justice Verma in April 2013, the NBA has been campaigning to get successive governments to make this code applicable to all television channels as part of the part of the Programme Code under the Cable TV Act, along the lines of the Advertising Standards Council of India (ASCI), which managed to get its code applicable to all advertisements aired on cable TV in August 2006. "But how effectively are complaints dealt with?" ‘…the basic strength of a news channel lies in its credibility, from which flows its ability to influence public opinion. A censure emanating from a jury of its peers would indisputably affect the credibility of a channel. Besides, such a process is not without its legal ramifications. A channel acting in breach of established guidelines could hardly defend its motives or suggest that it was acting fairly, if it is censured by a jury comprising its peers. But how effectively are complaints dealt with? In the first year it started functioning, the NBSA received 20 complaints and issued show cause notices for two complaints, including a complaint against India TV. By the second year (2009-10), the complaints went up to 26 and were ‘satisfactorily dealt with’ by member broadcasters, according to its annual report. In 2010-11, the number of complaints rose to 152 and again, at the first level of redressal, a majority were resolved satisfactorily, the annual report said. In 13 instances, the NBSA had to issue show cause notices but in five, the complaints did not proceed for various reasons and were closed. In the other instances, the NBSA issued two directives for airing apologies, one admonition, and one warning. Sunanda Pushkar: A complaint against Times Now’s coverage of MP Shashi Tharoor’s wife Sunanda Pushkar’s death, filed by Sharad Shah in 2014, said that it was ‘full of innuendos and leading questions by the anchor that were intended to lead the viewers to believe that Sunanda Tharoor was murdered either by Tharoor or at his instance’. The complainant provided a list of 31 captions and titles that demonstrated his claim. However, Goswami, appearing for Times Now, denied the charge, stating that several other channels had done the same and alleging that the complainant was a ‘serial harasser’ who singled out Times Now. The NBSA examined the complaint and said that even if the complainant was prejudiced against the channel, the ‘tendency of the media to hold parallel investigations and prematurely/inaccurately disclose certain facts, certain half-truths and inaccuracies as facts or findings, apart from putting tremendous pressure in high profile cases on the investigating officers, may dangerously mould public opinion about the guilt or innocence of persons, thereby destroying reputations and careers and adversely affecting any subsequent trial in a court of law’. It cautioned the channel. The Tatra deal: Shah was also the complainant in May 2012 over a programme aired by Times Now on the Tatra deal which featured Maroof Raza, described as a strategic defence analyst, as a key panelist. Shah said that Raza was also ‘principal of an entity called Maroof Raza and Associates, which acts as consultants for foreign arms dealers and this fact is not disclosed at the time of introducing Mr. Maroof Raza on the channel’. The NBSA examined the complaint and asked Times Now to disclose three things: the true nature of the broadcaster’s affiliation and relationship with Raza; whether the channel had retained Raza as its exclusive strategic defence expert; and whether Times Now was aware of the likely conflict of interest between Raza’s business and the subject matter of the programmes in question. In this instance, the NBSA decided that in the interest of transparency and objectivity it was important for a television news channel to disclose the credentials of panelists who appear on their shows, especially those who appear as experts on any given subject. This, it believed, would enable viewers to make their assessment of the opinions expressed by panelists, including the likelihood of a conflict of interest between the views expressed by panelists and the subject matter of debate. "In this instance, the NBSA decided that in the interest of transparency and objectivity it was important for a television news channel to disclose the credentials of panelists who appear on their shows"
The NBSA added that such ‘disclosure would go a long way in improving the standards of news journalism’. In The Hoot’s 2012 study on self-regulation in television, Indira Akoijam observed that the BCCC and the NBA did not take ‘strong punitive action’ against the channels that violated their guidelines. Warnings not to repeat the programme or directives to run an apology as a scroll were not enough. Stricter punishments, such as fines, would reduce the number of notices and reduce the number of violations, felt Akoijam. According to the NBSA annual report for 2013-14, the number of complaints before the authority had gone up to 1143. They included erroneous reportage, misleading reports that helped or hampered an organisation’s business interests, breach of privacy (especially in matters of family or matrimonial disputes that had no public interest), sexual harassment complaints and, a batch of complaints filed after the Mumbai blasts of 2011 by alert citizens objecteding to speculative news reports of the involvement of the Indian Mujahideen and LeT in the blasts. By 2013-14, the NBSA put in a system in place to monitor compliance with its orders. But was this enough? In its 2014-15 annual report, the NBSA took up 110 complaints and also spelt out its two-tier mechanism (the broadcaster and the NBSA) for resolution of complaints, with the NBSA taking suo motu action in some cases. Complaints also came from the Ministry of Information and Broadcasting and the Election Commission of India. In its 2015-16 annual report, the NBSA took up 198 complaints, from comments made by television studio guests about the ban on beef to programmes allegedly defaming Hindu spiritual leader Radhey Maa, and programmes allegedly of fake news and paid news. While, in most instances, complaints were not upheld or the programmes were held to be in the public interest and the cases were closed, mistaken identities continued to haunt India TV. In a complaint lodged on January 18, 2016, Bhawana Arora, an assistant professor of Lady Shri Ram College in Delhi, said that the channel broadcast a telephonic conversation with a woman named Bhawana Arora, accused of throwing ink on Delhi Chief Minister Arvind Kejriwal. The accompanying visual was a Facebook profile picture of the professor with the same name. The NBSA had ordered an apology and removal of the recording on the channel’s website and since it complied, the case was closed. In its 2016-17 annual report, the NBSA reported that it took up 232 complaints and, while JNU doesn’t figure in the list, a sufficient number of instances the report lists are related to coverage of alleged anti-national activity. It also marks the shift in the more polarized world of broadcast media where the fake and the slanted news vie for primacy. Self-regulation, or any kind of regulation, seems increasingly to be a largely unattainable goal. Geeta Seshu is an independent journalist in Mumbai and Consulting Editor at The Hoot.